for $559,990 with 4 bedrooms and 2 full baths, 1 half bath. 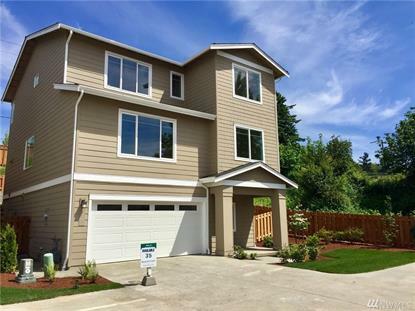 This 2,558 square foot home was built in 2019 on a lot size of 5700 Sqft. Perfect floorplan for the entertainer, with kitchen fit for the epicurean in you! Bring the party outdoors to your covered patio, perfect for all-season grilling and fully-fenced backyard'¦croquet or badminton anyone? Main level bedroom creates a wonderful retreat for your own-of-town guests or at-home office. Head upstairs to a spacious master bedroom with en suite bath including raised height granite vanities with dual undermount sinks, tile flooring and tile shower and soaker tub surround.